It amazes me that some otherwise smart engineers who know the difference between amps with 10” or 12” speakers, or a Shure Beta 52 versus an AKG D112 mic on the kick drum, think of headphones as just headphones. That’s when I begin to worry about what might be in between those phones. Making the right headphone choices, even on a low budget, amounts to nothing less than a game changer. So read on, and as always, I invite you to fill in my knowledge gaps and share your experiences. Here are some tips, tricks and recommendations that will hopefully leave you smiling from earphone to earphone. Headphone history is fascinating—better than an aging rocker’s memoir. For starters, no one knows exactly when headphones were invented; they may go back as far as 1880. In 1888, opera lovers used primitive headphones to hear live music at home via telephone transmission. In 1910, Nathaniel Baldwin started making what we’d recognize as modern headphones in his kitchen. The Navy loved them and wanted to move Baldwin into an East Coast plant. But Baldwin couldn’t leave Utah: He was a polygamist. And in 1958, musician/entrepreneur John Koss introduced the first stereo headphones, the Koss SP/3. The Milwaukee-based company still makes headphones today. 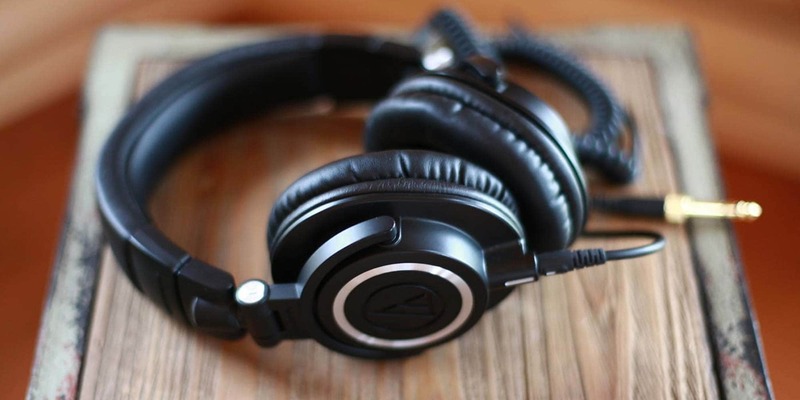 For studio recording purposes, there are two types of headphones and it helps to know where they’re best applied. 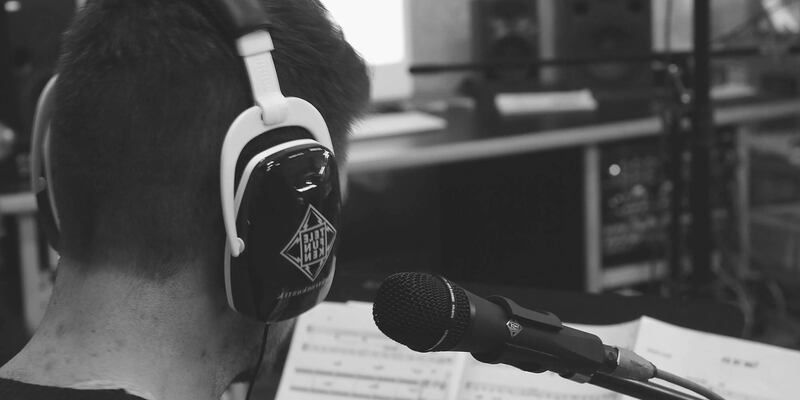 Closed-back headphones are encased with solid material, usually plastic, to block out ambient noise and are ideal for musicians tracking live in the same room. They’re also supposed to prevent sound from “leaking” out, though cheaper headphones have less isolation. That’s a big deal if you’re cutting acoustic instruments and, in particular, vocals: “Headphone bleed” into mics can botch a solid take. Open-back headphones have a grill or mesh on the outside of the ear cups, and while they’ll let ambient noise in, they’re also designed to breathe more. Much more. Listening in a quiet room, an engineer can hear stunning detail on a well-designed pair of open-backs. While a good set of monitors is a great investment, you can use a few simple tricks and techniques to get a great mix, even if they’re out of your budget. These Chinese-made cans, marketed primarily to DJs, are an outstanding home studio choice that won’t break the bank. What’s more, you can usually buy a five-pack for just $89 through Broadcast Supply Worldwide. That means you can outfit an entire band at less than $20 a set. They have nice frequency response (18 Hertz on the low end to 18,000 Hertz on the high) and while a touch aggressive in the midrange, HD 202s work surprisingly well, offering a little less than ideal isolation, but satisfying punch that isn’t hyped. These hybrid headphones—half closed, half open—have been a studio standard for decades. I have a pair and while I don’t use them as much I once did, I can attest to their velvety sound. The adjustable wire frame over the top of the headband is more annoying than helpful, but otherwise these headphones fit snug and have a formidable range (15 to 25,000 Hz). That’s deeper bass and crisper treble than the standard default range of “20-20,” plus an extra layer of focus to the listening experience. A family-run business for more than 60 years, Grado makes its headphones by hand in a Brooklyn-based facility. The Grado line is unique in that you can get in on the ground floor with a pair of SR60s (about $80) and stair-step up with a consistent “Grado sound” that reveals progressive focus with each set. SR60s are quite solid, but the RS1es are a sight and sound to behold. The warm, resonant shells are made of mahogany, and high frequencies go up to a stunning 30,000 Hz. Grado also make the Professional Series PS1000e headphones that sell for—get this—$1,695. Are they worth it? I use the older PS1000s and they’re indeed eargasmic. 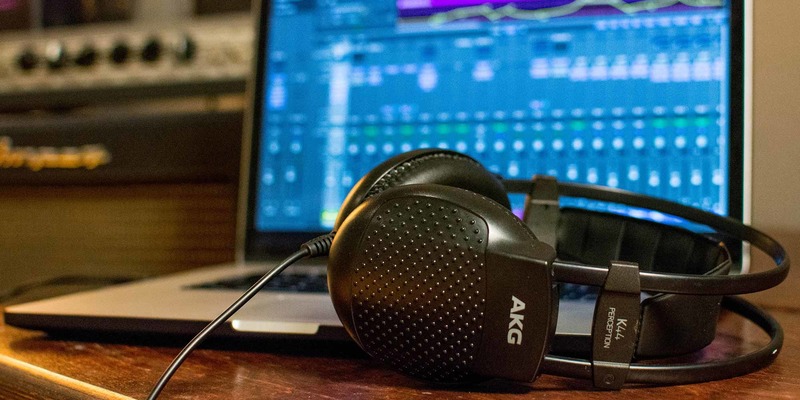 Now, chances are you don’t need this kind of ultra-definition for home studio work, and the Professional Series are much softer on the midrange side than conventional rock headphones—tilting towards the home hi-fi listener. The good news is that since PS1000s are no longer made, you can find them used for $1000 or less—and used boutique headphones, besides being broken in, were likely babied by the previous owner. True, even that cost rivals a tricked-out Fender Strat. But my used PS1000s upped my game considerably. The new NX plug-in by Waves ($99) helps DAW systems emulate the dimension and depth of listening in a control room. Though I’ve read rave reviews, I’m not fully sold: The face tracking feature that uses your computer’s camera to follow the tilt of your head is distracting, so I turn it off. And if you forget to take NX off your master fader, it’s going to color your mix. Still, I find NX very useful in nailing the ideal placement of instruments. Consider a headphone amp to improve sound. I borrowed this trick from the hi-fi crowd. Headphone amps can cost beaucoup bucks, but not the tube-based Little Dot MK III. It uses four tubes, and adds wonderful, subtle glow to a single headphone channel. I’m a fan, and so are an overwhelming number of users; you can find the MK III for between $250 and $300 online. Always ask drummers whether they’d like to bring their own phones. Drums are loud, physical instruments, and drummers often grow accustomed to a personal set that’s comfy to wear and provides adequate isolation. Even if you think you’ve got a better set, they might not be what the drummer expects and that can have a negative impact on performance. If they don’t bring a set, consider a “headphone shootout.” Happy drummers deliver solid takes, and that impacts every aspect of the recording. Finally, I urge you, as always, to break the rules. Some big shots will insist you can’t mix with headphones. But Sufjan Stevens mixed his stellar “Michigan” and “Illinoise” albums entirely on cans. I did the same when working on a movie soundtrack in 2013. But there’s one rule to always follow: Don’t listen too loud for too long. If you crank the cans up to 120 decibels, you’ll experience hearing loss in less than 90 minutes. And you’re going to need your ears for a lot longer than that. Think about it: If you spend thousands of dollars on studio gear to make great recordings, it’s self-defeating not to spend a few hundred dollars — and develop healthy habits along the way — to make sure your ears serve you well for decades to come. Lou Carlozo cuts and mixes at his sweet home in Chicago. A former Chicago Tribune music editor and staff writer, his credits run the gamut from the Disney film “Prom” to an album he wrote and recorded for Special Olympics Illinois. In 2013, he scored and performed the soundtrack for the indie comedy “We’ve Got Balls,” which won multiple awards on nationwide film festival circuits.